This will be good for blending beautiful pieces of prawn crackers ! It says not available to purchase until 7-10 days? Hmmmmmmm? Bargain of the century Mums birthday in jan - sorted! So hard to clean. 2 minutes juicing. 1 minute drinking. 2 days cleaning. Because you think you're saving £40. Actually, you're wasting £90 on an item which you know you'll only use two or three times at most and then stick in a cupboard along with all the other bargains. Then, when all the cupboards are full, you'll have to move house. Did you buy the Philips? How does it compare to the Sage? How can u get it down to that price? How do you get this 15% off? What a lovely word...masticating ones food eeeep! Delivered yesterday, branded 17pin, no mention of Xiaomi, well packaged, feel nice to hold, motor is quiet, charger is magnetic propriety one, looks and feels good. Not used it yet but will try the weekend. Thanks op! That's the beauty of BG, so many random things! Unfortunately not, but Xiaomi usually make decent stuff. Thanks op just what I needed but didn't know it existed! This makes sense as a concept, but it lies on the execution for blending power. Does anyone actually have perosnal reiews? Never miss a 'Juicer' deal again! I have this but bought a long time ago at a price great deal more than this. It works fine. 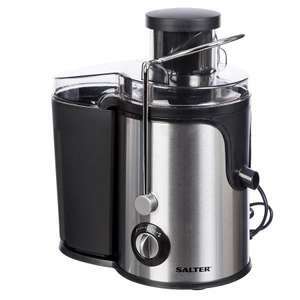 Perhaps, if you are going to seriously go into juicing then it may be worthwhile looking at masticating juicers. Just my 2p. A good juicer, this. I have the older model too and it's still going strong - reliable but of kit! wow. If you were dyslexic and ordered it, you could be very disappointed when this is delivered. very small. better option if you go to a pound shop. Snatched one. Thanks for the heads up! Seems to be back on mate. Not sure how long for. With Amazon always live chat with them about a return...for Prime customers they often don't ask for goods back if low value (and address stuck all over the box) ..I said I'd return the accessory pack unless they could give me £10 off the blender as it wasn't any use. Instead of giving me £10 off the blender they refunded the accessory pack so I could just buy the blender. I've still spent more than intended, but hey. How they have refunded without return? Amazon refunded the full £10 without a return... 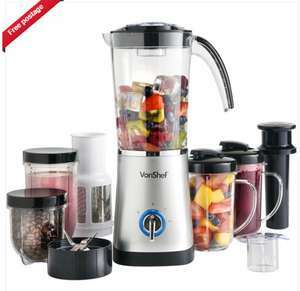 So I'll buy the blender... Means I get VBL062 blender with 2 large bottles and accessory pack for £18.50...which is a result. Well it makes about as much sense as having slow selling stock shelf warming at RRP for months, then effectively giving them away and causing a bun fight in the aisles. That was my point. Very odd way to run a business. This makes no sense, I know they have been reduced to crazy prices but why throw away or burn. Very odd. Tesco really are run by a bunch of clueless morons. Those transformers are marked down nationwide to £8ish, and scalpers have been filling their boots at that. Why reduce them further? Why not donate them to a children's charity or just throw them in a skip or set them on fire on something? Got one last week the Juicer is bloody useless, All the pips fall inside from the two big openings. 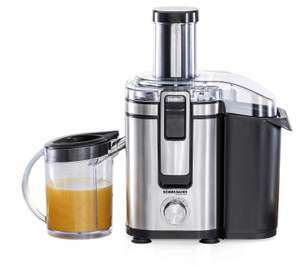 8-piece juicer blender comes complete with a high torque power base, 1x extractor blade, 1x tall cup (680ml), 1x short cup (511ml), 1x handled comfort lip ring, 1x stay-fresh lid, a user manual with recipes and a Pocket Nutritionist. Yes and if people don't read and obey the instructions for use how is the product defective. e.g. one person got burnt using hot liquids when the instruction clearly stat never use hot liquids, people putting ice in when the instructions say never use ice cubes and the item being left unattended when it clearly states never leave unattended and not to run for more than 60 seconds. For goodness sake! Are you incapable of using the internet yourself? Try using this webpage called 'google' and then typing in nutribullet and class action to see for yourself instead of wasting everyones time with snide comments ! Stop talking bollo cks. 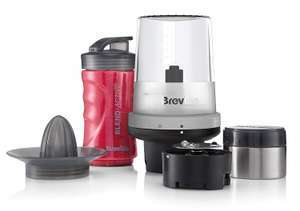 I already said you can get more powerful blenders at a cheaper price than the Nutribullet. You're just paying for the brand name. Yes it's a high powered blender but that is what you need for smoothie making, a cheaper lower lower powered blender will not give good results just like a road sweeper will not move the snow. Show us the proof of this statement, or did you make it up?